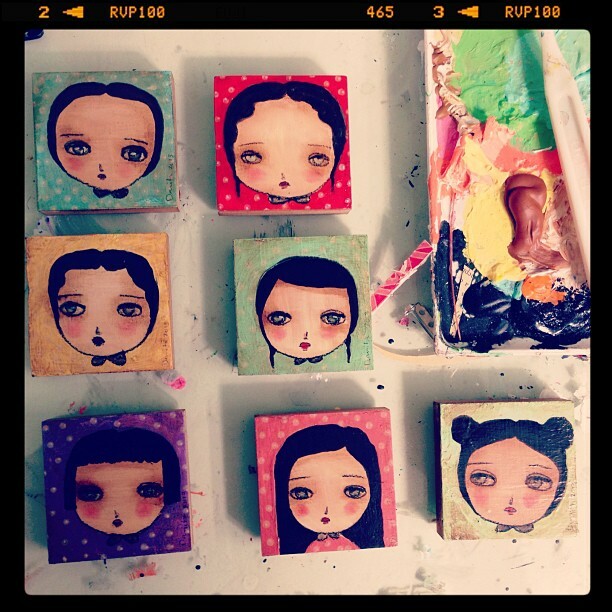 I made a batch of little portraits. They're just 2x2 inches. Painting so small is so challenging! Specially they eyes, but I loved the results. I like them all together, whenever I work on batches it's always hard to pick a favorite. Want one? Original, affordable art.